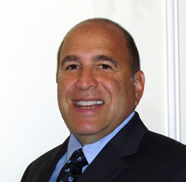 Alan D. Sugarman brings a multi-disciplinary approach to the practice of law, drawing upon his varied experience. With general counsel and private practice experience, and experience as a founder of HyperLaw, he is able to provide oversight and management of complex legal problems that cross legal specialties, business areas, and cultures. Sugarman's financial services industries background provides insights into corporate finance. With extensive experience in technology and training as an engineer, he has an understanding of technology-legal issues. He utilizes a problem solving and project management approach, coupled with the hands-on ability to apply the latest technologies in litigation support and information collaboration. Sugarman believes that lawyers need to understand the client's overall objectives and problems, and not be focused on legal specialties so as to obscure the client's practical issues. Founder and President, HyperLaw, Inc. Representation in New York State Supreme Court and Appellate Division First Department of property owners in challenge to New York City's zoning board's action approving variances for the purpose of allowing a religious non-profit to construct income generating condominiums. Appellate Division Brief, September, 2010. Consulting and New York counsel on behalf of New York art dealers in art law dispute in Greece and New York. The dealers are opposing seizure of art in Greek courts by Greek collector asserting possession of moral authentication right obtained from deceased United States abstract expessionist artist Theodoros Stamos. Issues involve the Berne Convention, New York probate law, the Visual Artist Rights Act, and Greek copyright law. Representation of borrower under retail credit default swap agreement with major bank and legality of same as to whether borrower is qualified participant. Co-counsel in UNCITRAL international arbitration in Canada in an investor arbitration against the Government of Belize on behalf of a United States investor. Co-counsel on behalf of borrower in $500 million foreclosure and lender liability actions in the District Court of the United States Virgin Islands. Lead counsel in International Chamber of Commerce arbitration in France, Belgium, the Netherlands and the United Kingdom, successfully obtaining an award of €7.2 million euros against Dutch telephone company. Brief in Support. Arbitration Award. Lead counsel in successfully managing a French Caribbean subsidiary of a United States company through a redressement proceeding in French courts, successfully maintaining the viability of the company and successfully lobbying for a change in French bankruptcy law so as to protect companies in similar situations. Lead counsel in successfully defeating litigation claims brought by a French tax investment group in the French Caribbean. Lead counsel in overturning a $3.2 million award in the appeals courts of the Netherlands Antilles, involving telecommunications interconnections. Special counsel to Merrill Lynch in complex bankruptcy and workout of condominium and golf course project in the United States Virgin Islands including obtaining dismissal of RICO actions and rationalization of title regime by creating a customized computerized title plant. Lead counsel in action pending in the United States District Court for the Southern District of New York against computer software systems company involving telecommunications billing systems, achieving a multi-million dollar settlement beneficial to client. Counsel in structuring and negotiation of innovative commercial mortgage back-securities products, real estate limited partnership, and other real estate securities on behalf of Merrill Lynch. Lead counsel in successful workout of defaulted 400 unit cooperative housing project in New York City. Representations of musicians and artists in copyright and contractual matters. Financing of Press Club, Washington, D.C. (Mortgage Backed Securities). Sandestin Hilton (Hotel Condominium Public Offering). 1221 Broadway (Mortgage Backed SecuritIes). Acquisition of Guadeloupe Cable Television Company. Renegotiation of loan facilities for Caribbean telecommunications company. Representation of New York City community opposing rezoning, in historic West Side district, of site owned by religious non-profit seeking to build condominiums to fund the non-profit. As HyperLaw, successfully challenged West Publishing Company's assertions of copyright in the enhanced text of West's versions of court opinions in a landmark copyright case in the U.S. Court of Appeals for the Second Circuit. In a parallel decision, joining with Matthew Bender & Co., also successfully challenged West's claims of copyright in the citations used in its case reporters, overruling West v. Mead. See. www.hyperlaw.com. Lead Counsel for Committee to Save Back Creek, Annapolis, Maryland, successfully forcing marina developer to relocate 300 foot pier so as to restore navigability of channel for sailboats and other vessels. The $.5 million pier blocked access and navigation to Back Creek, constructed in violation of Corps of Engineers and local regulations. Founder of law school environmental law society and then intervenor in nuclear power plant permit proceeding before Illinois Pollution Control Board, resulting in modification of plant design. Produced major concert events for historic jazz and Lindy Hop figures - Eddie Bert and Frankie Manning and prouduced CD-Roms of George Gee's Orchestra. Litigation support system based upon Summation for lender litigation - 2003-2005. CD-ROM publishing system for court opinions to publish 10,000 court opinions per year (1992-1996). Development of legal case opinion collection and publication system for CD-ROM which permitted start-up company HyperLaw, Inc. to publish low cost versions of U.S. Supreme Court and U.S. court of appeals opinions in 1991-1993, anticipating the subsequent dissemination of these opinions on the Internet. Litigation support database for RICO and real estate litigation - 1988-89. Design of Corporate Secretarial and Subsidiary Information Reporting System for Merrill Lynch in 1982-84. Design and Implementation of first generation leasing and computer agreement drafting systems for INA Corporation. in 1980. Design of first generation litigation support imaging system - 1990. Design of hypertext version of real estate transactions book on disk in 1990. Intranets for sharing of case information in searchable Acrobat format 2000-2005.